The 2013 harvest is officially underway! 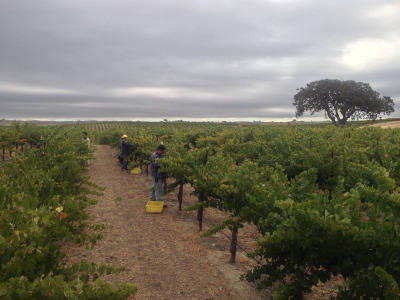 The Cuevas Cabernet Sauvignon was the first red varietal to be harvested yesterday morning. It was a picture perfect Saturday morning, with a cool cloud cover and low temperatures. Five hours after starting, the grapes were cold soaking in bins. Pictures of the day can be found on our photo gallery.